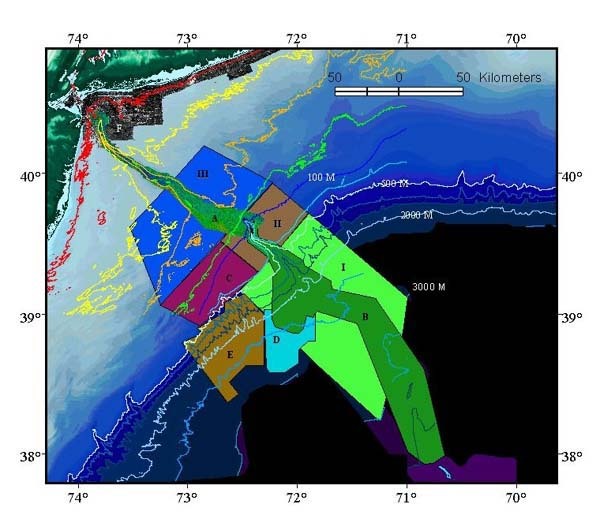 Location of existing and planned high-resolution multibeam surveys in the Hudson Shelf Valley and Canyon system. The letters represent areas with existing data and the Roman numerals represent proposed mapping sites for the Hudson Canyon Exploration. Image courtesy of Hudson Canyon 2002, NOAA/OER.